We are pleased to inform you that the Old Allentown Preservation Association (OAPA) has started a mini-grant program of up to $500 awards to purchase paint for the improved appearance of our historic neighborhood. Below is the application for homeowners to apply for this opportunity! If you are a tenant or a business, we encourage you to share this information with the property owner. Eligible improvements can include:Paint for exteriorwoodwork such as trim, door or shutters. Applications due December 1, 2018.Projects selected on a first come first serve basis. Potential for significant aesthetic impact. Priority given to buildings located within the Old Allentown historic district. Buildings located adjacent to the district will be considered. Property owners must select paint colors from the OAPA approved historic paint colors brochure attached, or otherwise approved colors agreed to with OAPA. Note: Painting of natural brick is not allowed in the Historic District. Neighborhood improvement projects are made possible by our dedicated volunteers and the generous financial support of our members, sponsors, and grant providers. 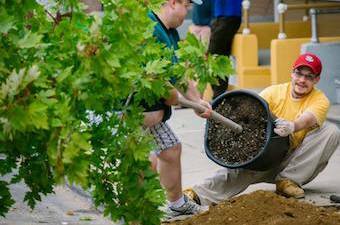 From tree planting to facade restoration and everything in-between, OAPA is working hard make Old Allentown a unique and beautiful neighborhood. OAPA hosts several membership and fund raising events each year. Many of our members have graciously opened their homes and back yards over the years to host various events. 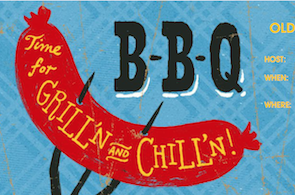 Join us for the annual house tour or a neighborhood BBQ. It's a great way to meet your neighbors and promote the neighborhood. One way of showing your support for Old Allentown Preservation Association is by becoming a member. Your membership allows OAPA to continue the vital work of neighborhood revitalization through physical improvements and community development programming. Sign up and become a part of the OAPA family. Upside Allentown takes a closer look at life in the Old Allentown Neighborhood. Click to watch the video. Please save the date for our Annual Spring Thaw Gathering at the home of Michael Wright. OAPA would like to thank our sponsors for their generous support.